Receiving a call from a caller ID-less number was the first sign I was dealing with a group that really wishes to keep its anonymity. The second sign was when my contact told me Eric wasn’t his real name. This was my phone call with Antifa Seven Hills. For those who are unaware of the group, Antifa Seven Hills is one of the many anti-fascist organizations across the country that organizes to quash fascism, racism, and other evils within their communities, and hopefully worldwide. “The lead up to the 2016 election really thrust the discussion of fascism into the public forum,” Eric told me in a recent interview. But arguably, the Charlottesville Unite the Right rally was perhaps the greatest inciting moment in the nation’s eyes. With tiki torches, baseball bats, and Confederate flags, members of different groups like the Proud Boys, Identity Evropa, and other white nationalist groups came from around the country to Lee Park in downtown Charlottesville. Several anti-fascist groups gathered in counterprotest alongside Charlottesville residents, religious leaders, and regular folks who were generally opposed to white nationalists and fascism. 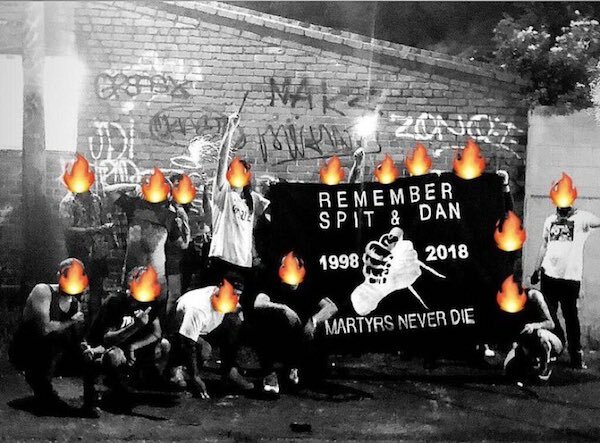 Since Charlottesville, Antifa Seven Hills has continued on its central mission. But according to Eric, the way the event was represented by certain media groups was not entirely accurate. 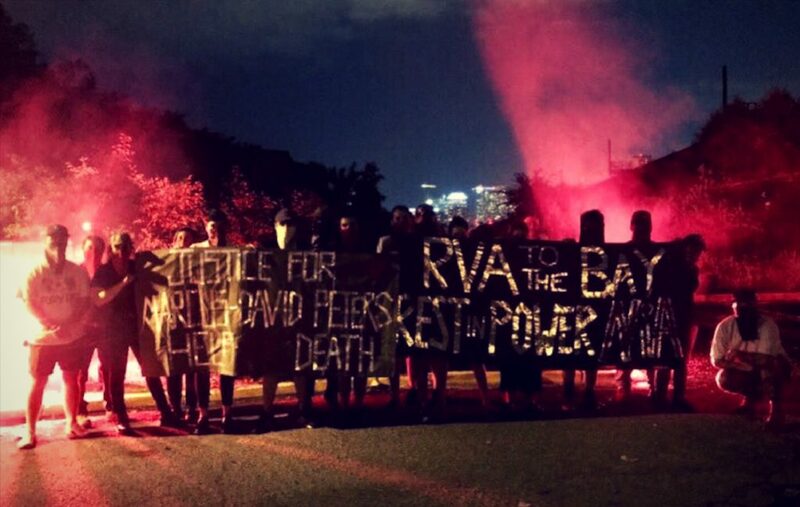 “Despite Heather’s death last year, the story that doesn’t get told often is that anti-fascists denied a platform and forced the Nazis to retreat that day.” Their experience has led them to eschew mainstream media, focusing on promoting their events through social media and private channels. Eric said Antifa has had success, pointing to the dissolution of fascist and white supremacist groups following Charlottesville. “Richard Spencer has been disgraced and doesn’t want to attend big rallies anymore, Traditionalist Worker Party as an organization has totally collapsed, Identity Evropa is trying to whitewash their image through faux community service, hardly anyone trusts Jason Kessler anymore.” Just that morning, Kessler withdrew his request to celebrate the one-year anniversary of his Unite the Right rally, where James Alex Fields, Jr., killed Heyer and injured dozens of people. To keep members and the general public up-to-date on the alt-right and other groups, Antifa Seven Hills works diligently on identifying fascists, both locally and nationally, which involves hours of research and investigation. Eric said local communities, not just Antifa, were a part of their work. “Antifascism itself can be a really specific form of organizing, but we like to view it more broadly and try to work from an intersectional perspective,” he said. According to Eric, fascists attempt to deconstruct or block access to many forms of liberation or rights to certain things, including “Racial justice, environmentalism, reproductive rights, and so on.” He added, “These are all connected. Fascists and the state often try to demean and discredit efforts for liberation by any name, Antifa, communists, feminists, liberals or the left,” using a tone of voice that implied scare quotes around the last phrase. But, he said, movements such as #AbolishICE or the response to Charlottesville prove that holding to the common ethics, “such as collective solidarity and mutual aid,” results in a win for anti-fascists and the community as a whole. 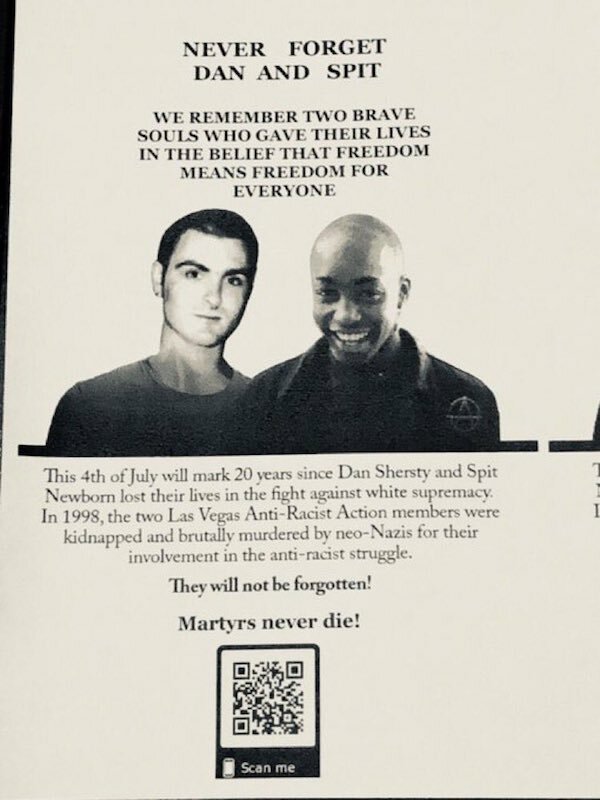 Remaining connected with other anti-fascist groups across the country is imperative to their mission. 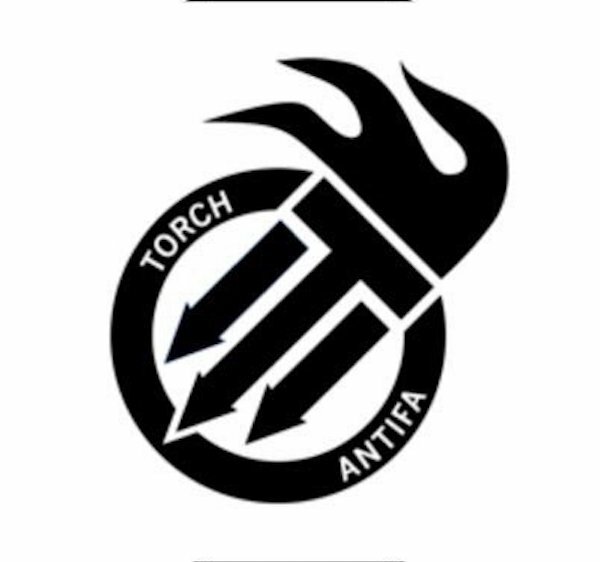 As a part of the Torch Network, Antifa Seven Hills is one of many organizations across the country that he said “appeals to a new generation of anti-fascists.” Born out of the Anti-Racist Action Network, the new network rose in response to growing racist sentiments from the late 1980s and early 1990s. Each year, a branch of the organization hosts the Torch Network Conference. Antifa Seven Hills will have that honor this year over Labor Day weekend. This was when my conversation with Eric started turning secretive. “I can’t tell you very much about it,” he said. For safety and secrecy, Eric gave me the general details about the conference: a two-day event that includes a private, member-only day and a semi-public portion that includes workshops, speakers, and a social environment for anti-fascists and the like to connect. He said, “We’re inviting anti-fascists and radicals from across the continent to share experiences, refine strategies, and critically analyze ongoing liberation struggles we are engaged with.” Although he could not reveal which local organizations were going to be involved, Eric informed me that groups promoting liberation, anti-racism, and other just causes would be involved and welcomed. With August in full swing, it is nearly the one year anniversary of the Charlottesville riots. Eric mentioned #AllOutAugust, a national movement of liberation, including prison abolition and more. Following in the steps of Black August, symbolizing the many instances of black liberation from the Haitian revolution to the Watts Uprising, #AllOutAugust calls into attention the atrocities committed within the modern American prison system. Eric’s description of #AllOutAugust and his perspective on modern fascists paints a fresh picture of anti-fascists that brings to mind ’60s organizer Saul Alinsky; intersectional organizers working toward liberation through vigilance and direct action. The intersectionality that comes with modern liberation gives agency to groups like Antifa Seven Hills to combat racism, fascism, and bigotry that comes with limiting access to spaces, resources, and success.